Bottles & delivery tubes made of chemically resistant, low density polyethylene, which is flexible, tough, light weight and practically unbreakable in use. 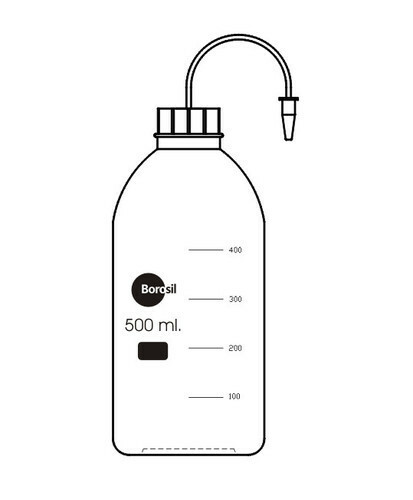 Squeezing the bottle produces a steady, controllable stream or a few drops, as desired and delivery is stopped instantly when pressure is released. Delivery tubes are mounted in polypropylene screw caps. Tips on delivery tubes are removable. We are renowned as one of the foremost trader and service providers of a diverse range of Industrial Products which passes through proper calibration, service & maintenance in Kolkata and West Bengal. Currently our company has started providing consultancy services on different products and subjects. Apart from this, we have got certification by NABL qualified laboratory in thermal and mechanical parameters.For ethical and fair business dealings, we have hired a team of highly experienced and quality professionals who helps us in maintaining flexibility in our enterprises. With their expertise, we are able to meet all the demands of our clients. Moreover, we have maintained transparency in our dealings, which enable us to acquire a huge support of our large base clientele.